Sometimes, great looking indie games seemingly appear out of nowhere. For example, X-Morph: Defense by Polish team EXOR Studios is intriguing to say the least. 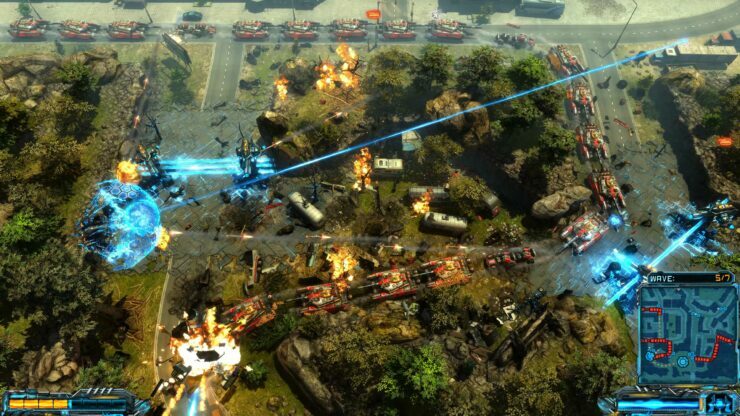 It’s a mix of twin-stick shooter and tower defense genres where, for once, you play as the invading Aliens. It’s not going to be a walk in the park anyway since humans built huge mech fighters that can go toe to toe with Alien technology. 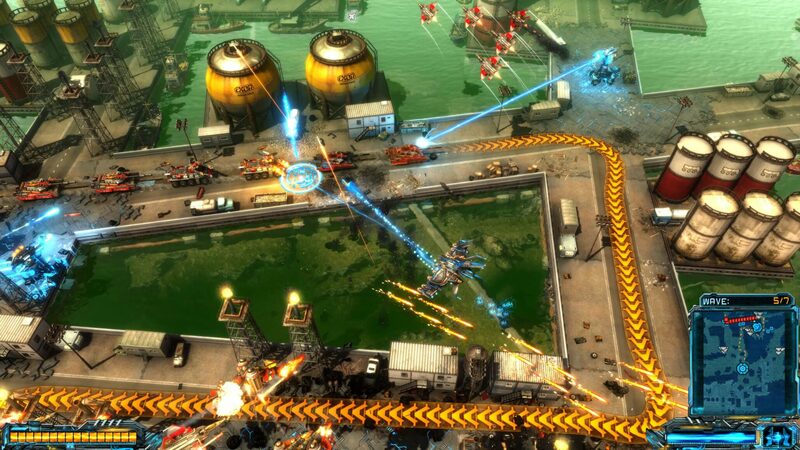 Far and away, though, the defining feature of X-Morph: Defense is its incredible environmental destruction, the likes of which haven’t been seen since Red Faction. 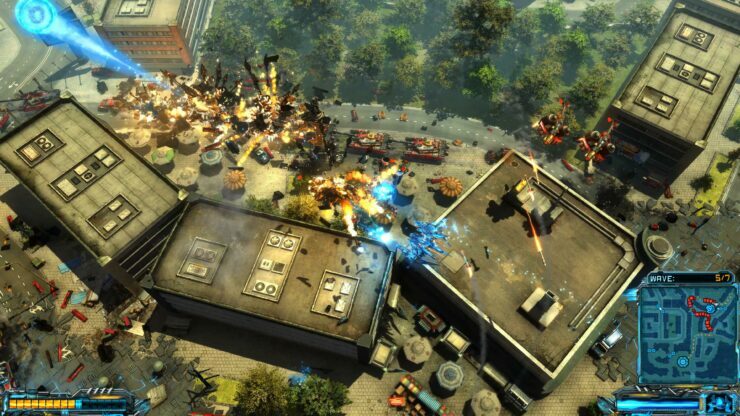 Powered by NVIDIA’s PhysX technology, every building can be destroyed “piece by piece” in this game. 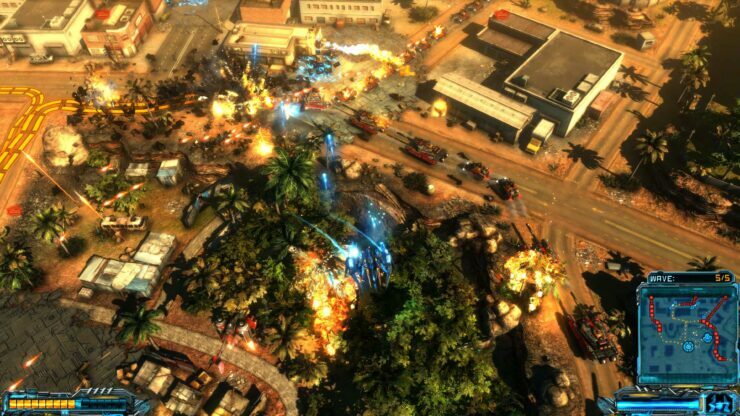 The developers also revealed the system to be so precise that players can strategically use the destruction to their advantage. The falling direction will depend on how the building was cut down; it’s possible to cut a building in half or just collapse a part of it. 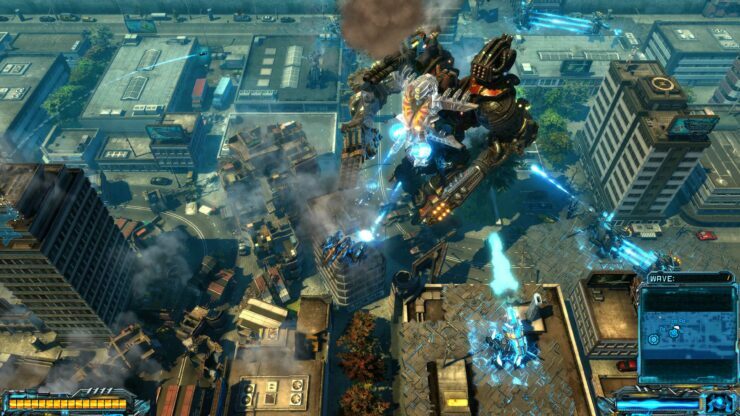 For instance, players could block passages and make it tougher for the humans to reach the X-Morph core objective. Another great news is that the game will feature split-screen co-op. Here’s a more detailed overview of its features. – Build your towers anywhere on the map. – Destroy obstacles, collapse buildings and bridges to change enemy paths. 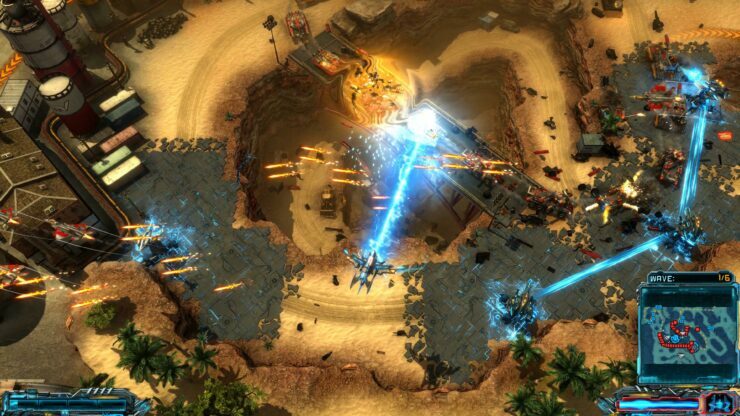 – Connect towers with laser fences that block enemy movement. – Smart enemies – there are no predefined enemy paths. Enemies adapt to the changing battlefield and your tower placement, making the challenge a lot more interesting. 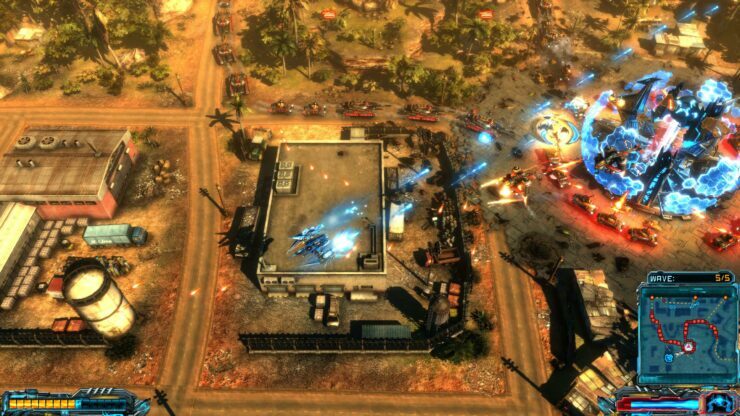 – Advanced tower types – different kinds of enemies require different defense strategies. Build advanced towers to counter special enemies. – Don’t wait for your enemies – engage them directly with the X-Morph fighter. – Morph into four distinct fighter forms, each one with a different weapon and special ability. – Fight huge, building size, mechanical war machines. Each boss fight is unique and heavily influences the gameplay environment. Entire cities will be destroyed. – Fend off the human threat with a friend at your side. 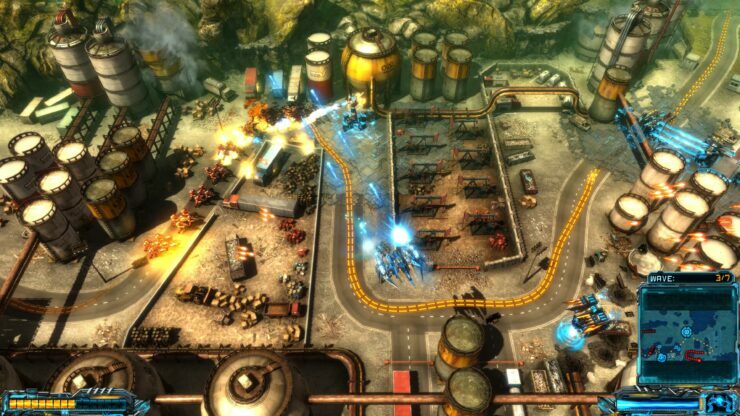 – X-Morph: Defense is powered by EXOR Studios’ proprietary Schmetterling game engine. X-Morph: Defense already has a Steam store page and will be released for PlayStation 4 and Xbox One, too. Take a look at the gallery of 4K screenshots and a 4K@60 gameplay trailer below.